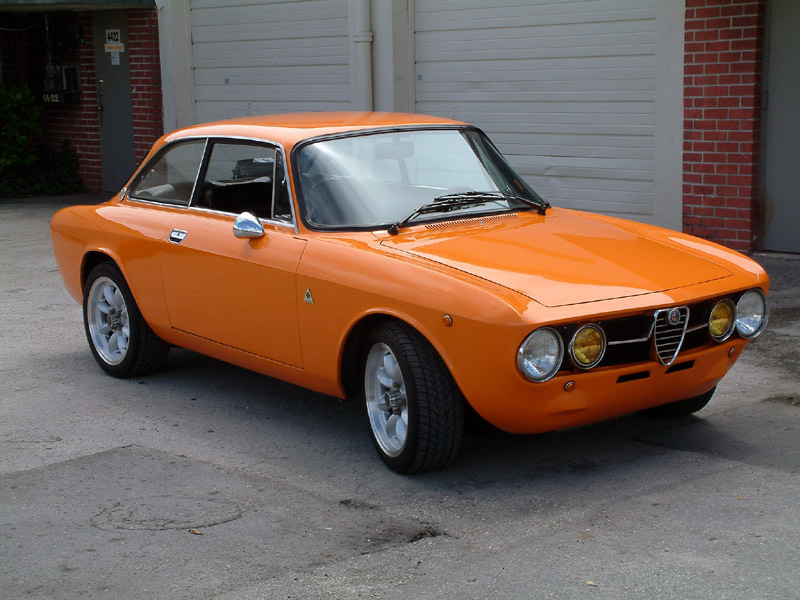 ALFISTI: send us a picture of you and your Alfa, we will post it here along with any information you would like to share. 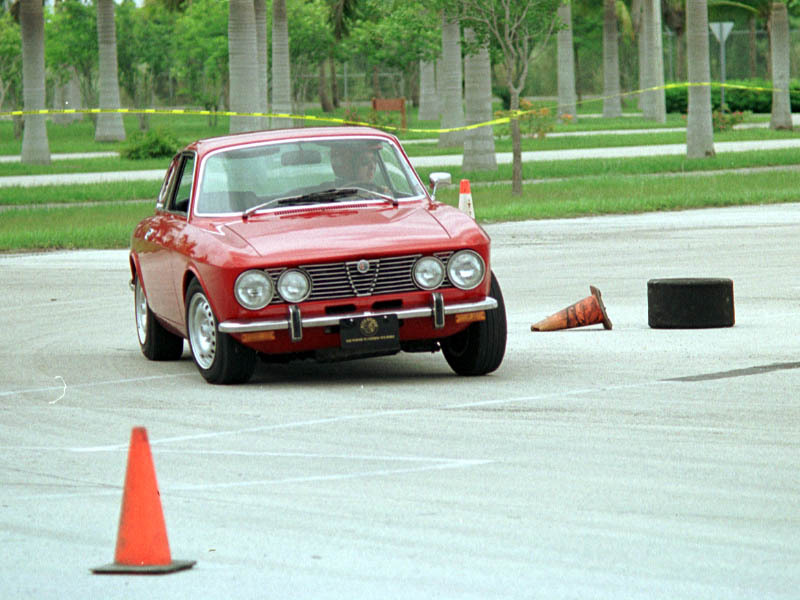 Above is your President autocrossing his beautiful GTV 2000! 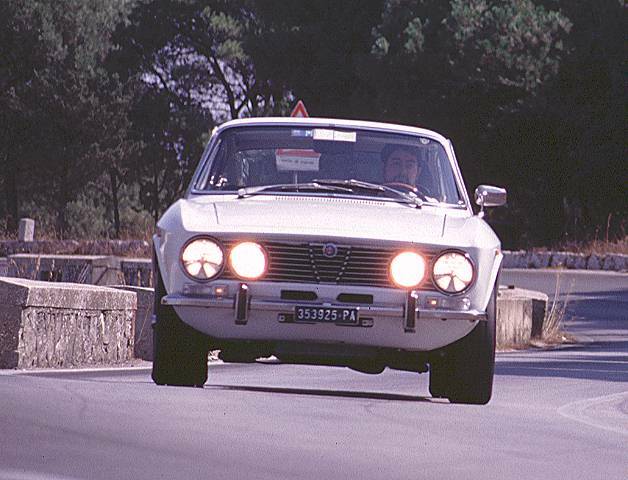 This is the 1972 Alfa GTV 2000 of fellow member Alberto Pugliese, your unofficial Club Photographer and WebMaster. The car is actually in Italy. 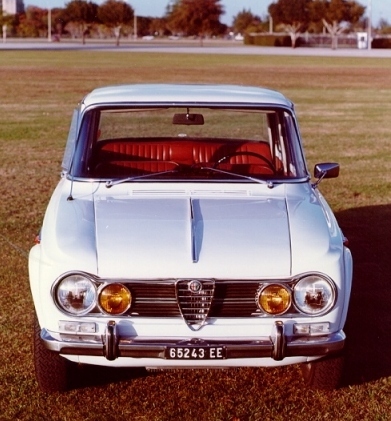 Below is the Giulietta of fellow member Art Taxman. He just bought it on the internet. When you see it and listen to its engine you can't help falling in love with it. Hi... I was referred to this site by Marc Mosko. You are doing a very nice job with this site. Keep it up! It's nice to know that there are other Alfistas so close by. The cars in your gallery are fantastic. 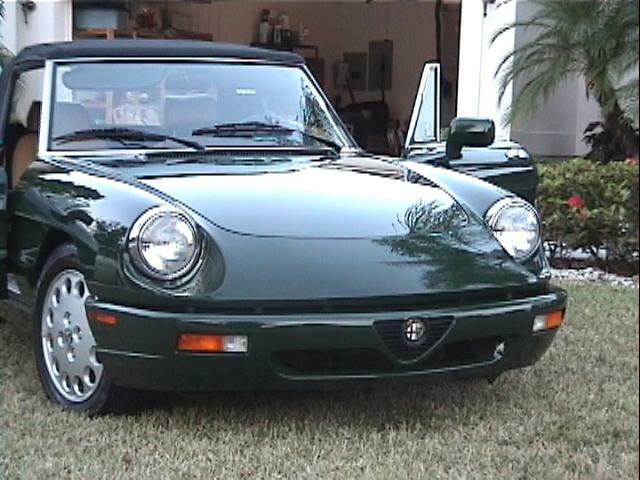 I'm attaching 2 pictures of my 91 Alfa Spider Veloce that you are welcome to add to your gallery, if you feel that either are worthy of inclusion with those wonderful automobiles. My name is Chris Scharbo and I live in nearby Coral Springs. 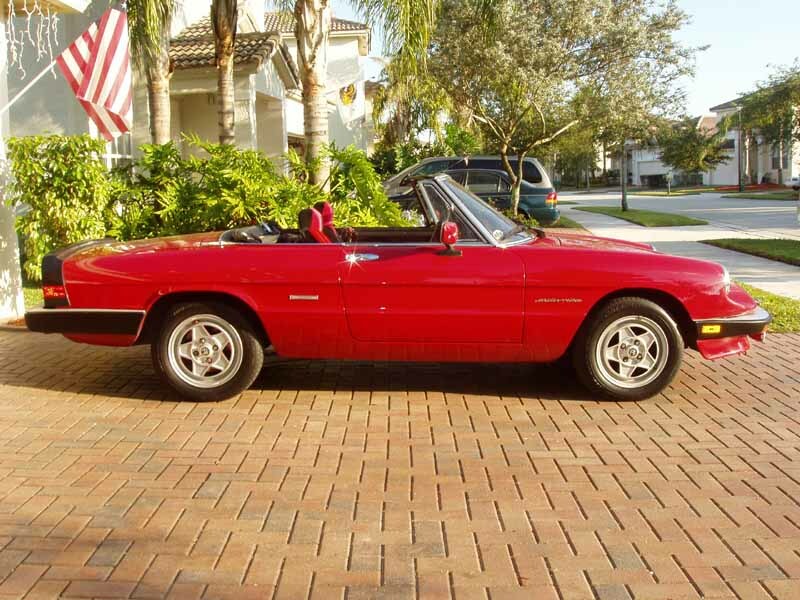 I drove Fiats in my early 20s & always dreamed of owning an Alfa Spider. 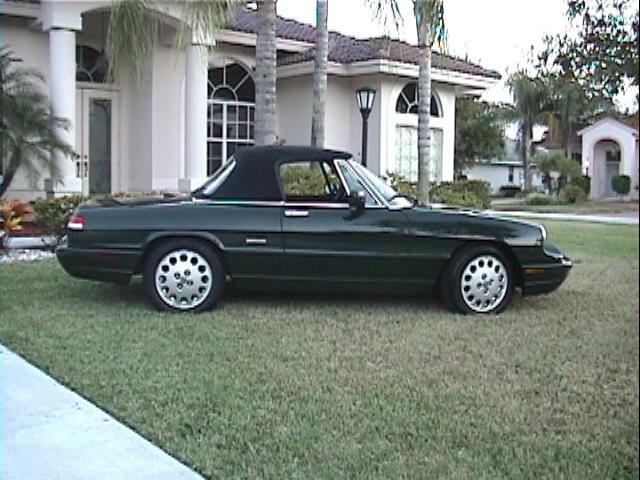 In the middle of last year, I went looking for one and I found my dream car in November of 2000. 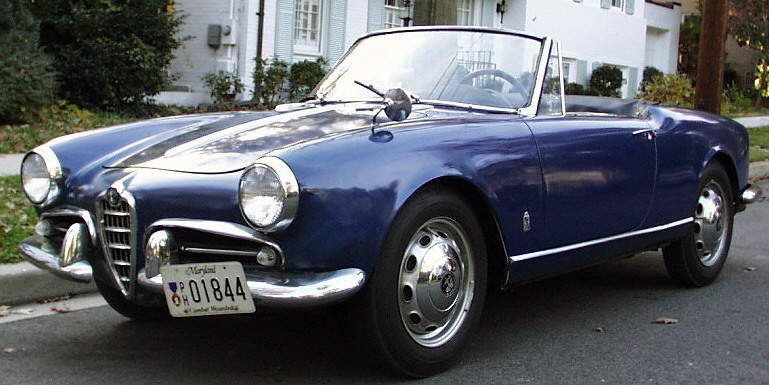 While I originally planned to buy an older Spider, I fell in love with this one and bought it as soon as I saw her. She's been sitting in a garage for most of the past 10 years. She has 6000 miles and is nearly in showroom condition. She loves to run, and I love to run her... hope you can use the pics. The spyder of Marcus Bohlemann. The car lives in South Florida but he studies in Indiana... think of separation anxiety! Above and below: the beautiful GTVs of the Solis twins. 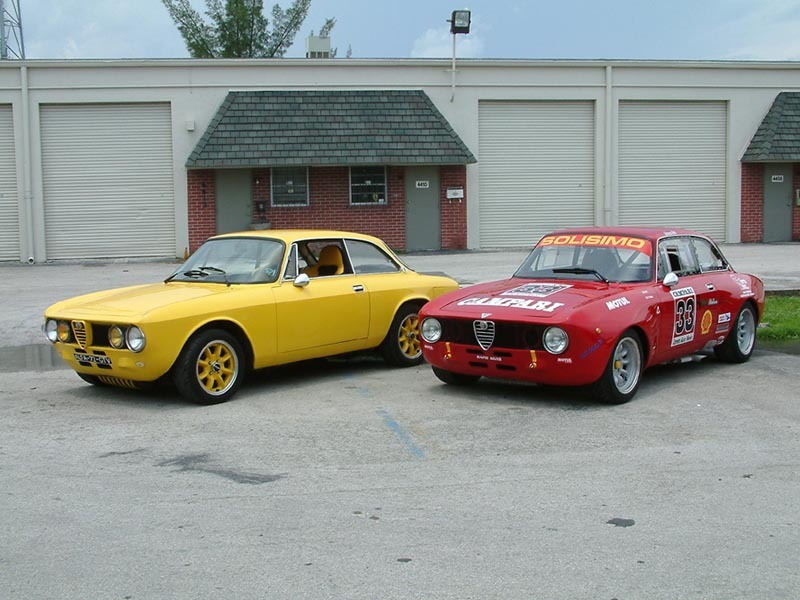 These guys love colors, speed and Alfas. 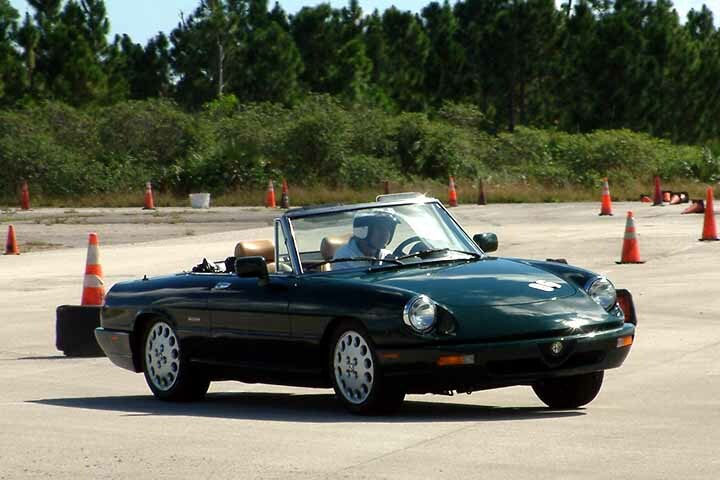 Click on any of the pictures to access a dedicated page with more pictures of these cars. 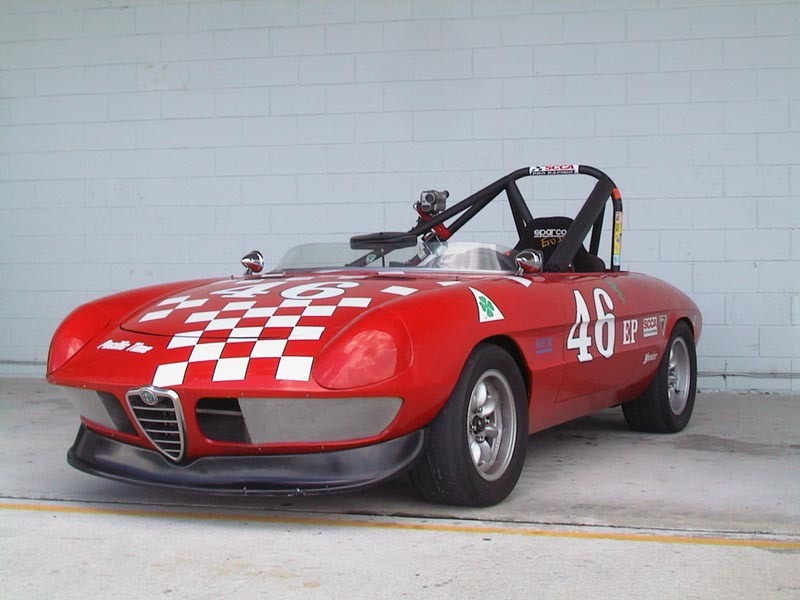 Shown below is the 1967 Duetto race car owned by Jonathan Eismann. 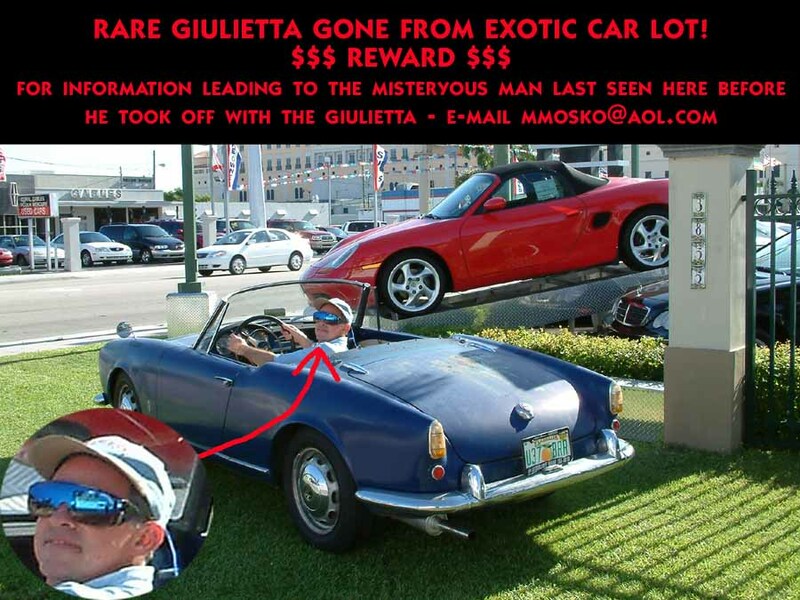 Click on the picture for more about this car. Send us pictures of you and your car, we will post them!